Make a healthy, homemade hummus salad dressing that uses hummus as the base for a salad dressing with lemon juice, olive oil and honey. Hummus salad dressing, is one of my new favourite dressings. Did you ever think to use hummus, everyone’s favourite healthy snack, for a protein packed salad dressing option? I know that it’s been a while since I’ve shared a salad dressing recipe here, because usually, if I’m having a salad for lunch, I’ll just stick to my basic balsamic vinaigrette. Old habits die-hard. I used to bring that salad dressing for lunch every single day of my senior year of high school. I was so dedicated, a healthy salad and lunch pretty much everyday is much more than I can handle right now. Why was my high school self so much more in control of things than I am today? Sometimes I feel like I really knew what I was doing back then whereas now I’m just kind of out there, not really knowing what I’m doing. I thought it was supposed to be the opposite way? Getting older is weird; it’s not really at all what I thought it was going to be. Recently, I’ve been creating some recipes that are a little more on the indulgent side of things, so this hummus salad dressing came out of necessity. Plus, it doesn’t hurt to have something a little healthier, like a salad, after a weekend filled with, perhaps, a few too many indulgences, which tends to happen from time to time. 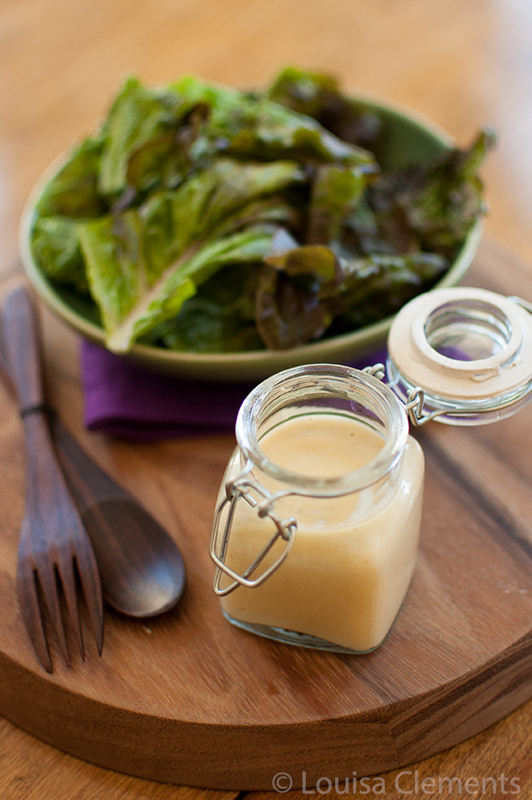 This dressing is creamy without any added fat (like mayonnaise), it’s kind of similar to a tahini dressing if you’ve ever had one of those before. I used lemon juice and honey to balance out the flavor from the hummus. I used a plain hummus for this dressing, but you could also use a flavoured hummus ­– something spicy might be interesting! I served this on a green salad, but this is the kind of dressing that would work really well on a quinoa salad or even a farro salad. I’m having a bit of writer’s block, so instead of blabbering on about nothing and this hummus salad dressing, I’m going to share a few links around the web that I’m loving lately. This documentary called Park Avenue: Money, Power and the American Dream – I love a good documentary (I feel like you can learn so much, but always keep in mind that there is a filmmaker’s bias) this one is super, super interesting, and a good rainy-day documentary. This Tumblr blog dedicated to all things Sofia Coppola – she’s one of my favourite directors and I think she has the most simplistic, sophisticated and simple style. 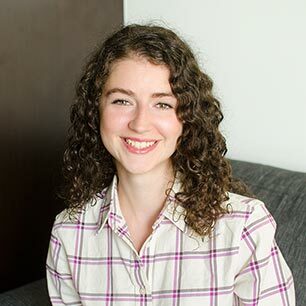 This conversation on Huffington Post’s Third Metric: What have we learned about “Leaning In” (One year after “Lean In”) I read this book last year and have found the conversations that have stemmed from it to be fascinating. This is a great thing to watch if you read the book. This blog -– it is such a beautiful aesthetic and a mix of food & lifestyle. This Pinterest board dedicated to Rumi quotes – my favourite is “Let yourself be silently drawn by the stronger pull of what you truly love.” I have this up on my bulletin board and look at it constantly. 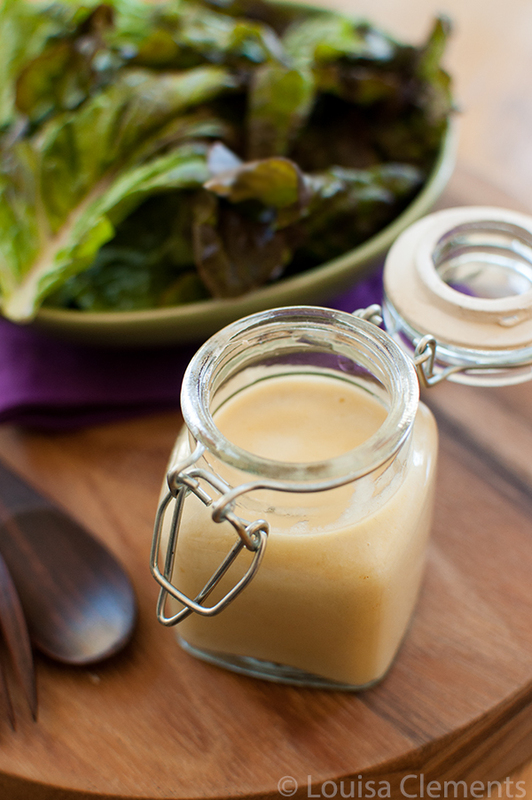 A protein packed salad dressing made with hummus. Get extra protein on your salad by adding this hummus salad dressing. This hummus dressing sounds delicious! I want to make a big greek salad and use this as the dressing. Yum! Hi Natalie - yes I love to use this dressing on a greek salad! It goes so well with feta. Yum!